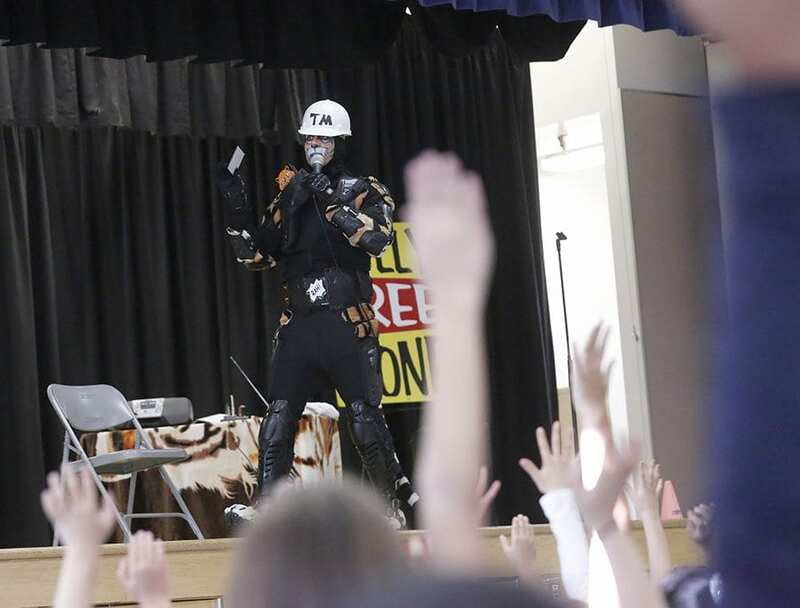 Tigerman’s mission began decades ago when Mark Ciarlante created the superhero to deal with his own bullies in elementary school, who teased him because he liked to dance and perform. “I created Tigerman when I was little, when I was 5 years old, because I was bullied,” Ciarlante said. “I wanted to create a superhero that was not violent to be there for kids to teach love, peace, kindness and friendship.” Eighteen years ago Ciarlante formed the nonprofit Tigerman Campaign and created his Tigerman costume—complete with a tiger cape, mask and face paint—in order to empower children to be healthy and seek non-violent means of conflict resolution.